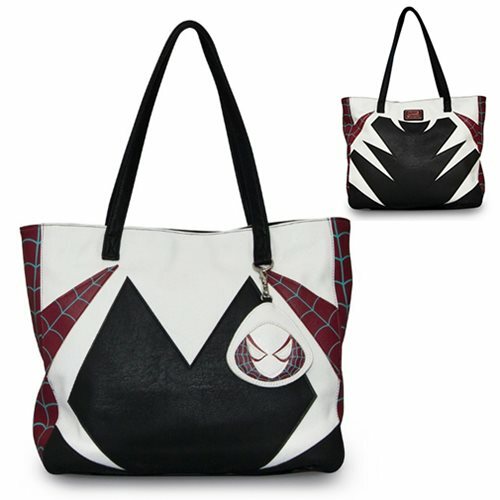 Dress for your next trip to Earth-65 with this spiderific faux-leather Spider-Gwen Tote Pursefeaturing faux-leather applique, quilted details, a shoulder strap, and a removable bag charm showing Gwen Stacy's logo. It measures approximately 14-inches tall x 14-inches wide and boasts a Spider-Gwen motif. Ages 15 and up.